Bubblesoft has chimed in with some more details. 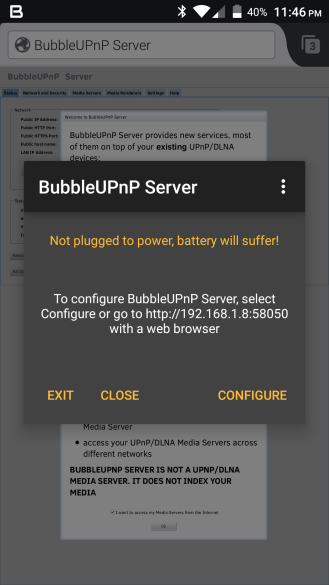 Bubblesoft, the developers of the popular BubbleUPnP app, have published a server equivalent for Android. Previously, you could run a BubbleUPnP Server on Windows, Mac, Linux, Raspberry Pi, or a NAS. Then you could use the player app on Android to access or share your local media. Now your Android devices can also be used as a server, but with several important caveats. At least if you know where to find the app. As you might expect, it's pretty minimalistic and not made for hand-holding. And, even to the extent you might know what you're doing, you do not want to be using your daily driver devices as BubbleUPnP servers. It needs to be running persistently, and it will use a lot of battery. When media is being accessed, it will burn a hole in your pocket. Now if you have a device that you could use for this purpose, this is good news for you. Part of the intent behind this app is to get it running on devices that would be more appropriate, like the Fire TV and Nexus Player. Or if you have a device with enough CPU power and perpetual access to a charging cord that you aren't using, it could suffice. Even in that case, though, Bubblesoft advises against using any Android hardware as a server if you have an alternative. This is why you will not be finding it in the Play Store. Reviews would be negative, complaints would roll in about overheating devices, and Bubblesoft could land themselves into trouble with Google. As long as you understand all of that and still want it, go ahead and use the server app! You can download the APK at Bubblesoft's website. We got a very helpful comment from this app's developer, so I decided to share it more prominently to help people understand what this app can do. 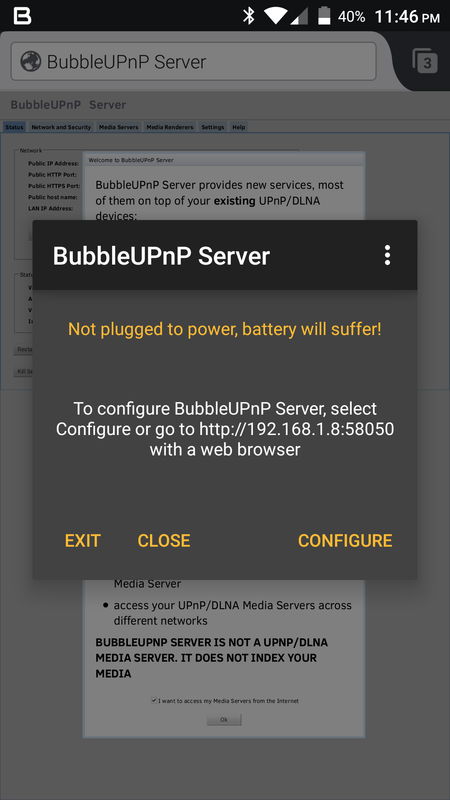 fix existing UPnP/DLNA Media Server issues by creating a proxy media server. Proxies also add some DLNA compliance for audio, allowing audio to play to some renderers when it wouldn't with the original server. 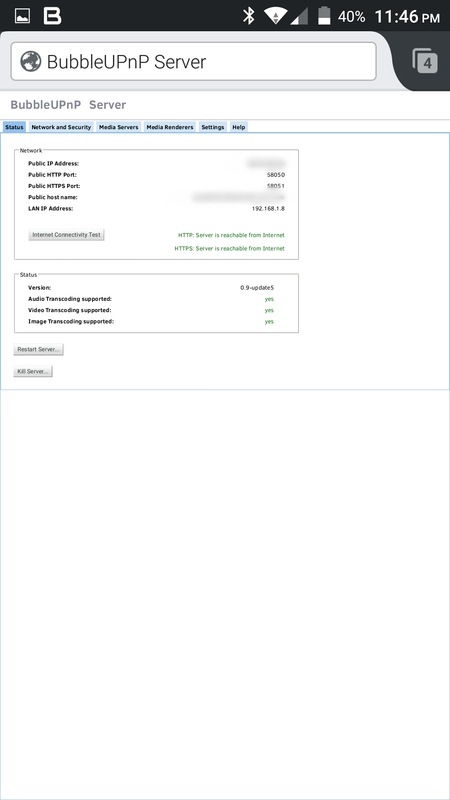 What it is not: it is not an UPnP/DLNA media server, does not index your Android media. Before, it required a PC or NAS. Now it can run 24/24 on a stationary Android device always plugged to power.